I was lucky enough to be sent some pretty awesome samples by MGN, or Muscle Gauge Nutrition! OH MY GOOODNESS. I had to try vanilla first because I got a big ol jar of it and was like hey if I like this sample pack, I have so much more to last me! So I didn't have a blender bottle on hand so I had to just mix it with a straw in water and guess what? Mixability: PERFECT. It was perfectly sweeet, no chunks, delicious vanilla flavor, so potent and strong, AMAZING. 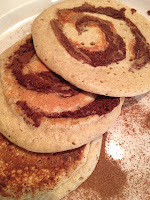 I used these in my protein pancakes one morning to make a cinnabon flavor [in my new ebook] and the flavor was intense and delicious! So authentic! Not overpowering cinnamon, but tasted like an actual cinnamon bun! FABULOUS taste. Some other chocolate proteins are sometimes just too artificially sweet for my taste, but this was on the dot amazing. I used it as protein frosting for one of my baking creations! Makes a great protein pudding as well! Oh sweet, sweet, delicious cake batter - used these in my protein donuts! Such a perfect flavor for a donut! Cakey, sweet, but not too overwhelming at all! This flavor brought me back to my childhood when I could stuff my face with these delicious naughty desserts and not worry about any fat gain because of that crazy hyper child metabolism :P But ahh it was so delicious! And now I can make some protein ice cream to mimick that same taste, with no guilt! SCORE. Used this to make some protein bread - oh my gahhh. That's it. No other words to describe it. Who else doesn't love the flavor of Rocky Road ice cream?! Perfectly sweet. DELICIOUS. I had gotten a strawberry protein flavor from another brand once, but the flavor was never intense enough or flavorful enough. But MGN DEFINITELY has their flavor potency perfect to the T.
Mixability: 10/10 - like I said, I used a STRAW AND WATER - and it mixed perfectly. No clumps, nothing! It just BOOOOM, soaked into the water and made the perfect shake. Taste: 10/10 AMAZING. Love how strong all the flavors are! You get more than just a hint, you get the FULL FLAVOR of each and every one. And all the flavors are so true to their names! Definitely a hit and a must buy for your protein powder choices. And they have such a great variety of flavors! 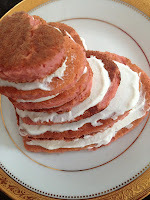 AND I used these all in my baking recipes, didn't have to add ANY additional sugar because the flavors were THAT intense! Nutrition: 9/10 Great! I only gave it a 9 because on their protein jars they don't label all the nutrition facts, so I had to contact Christine, the wonderful woman who sent me the samples, an e-mail about that, but she said that if there was ZERO of a certain nutrient, they didn't have to add it to the label, so that's right: ZERO fat, ZERO carbs, and it's relatively low calorie for a protein powder! Most out there are 140 a scoop, but these were around 110 each! Great for fitting in those macros or calories if you count! And it has a very short ingredient list! Compared to other companies out there, I've seen like 20 added ingredients!!!! WHAT?! So this protein is great in that it only has a few extra added ingredients! I honestly think I've found my new protein love for life..
but I'm being 100% serious. It was THICK, FUDGY, CHOCOLATEY, and FILLING. Easily mixable, a LOT came in the sample pack surprisingly! Definitely great for any sweet tooth, and for an on the go snack when you have nothing else! I personally do not take preworkouts because of my hyperthyroid issues I had, so I don't take any stimulants, so I could not give a thorough review of this product. Check them out at their facebook , their online site, and on bodybuilding.com for more deals! 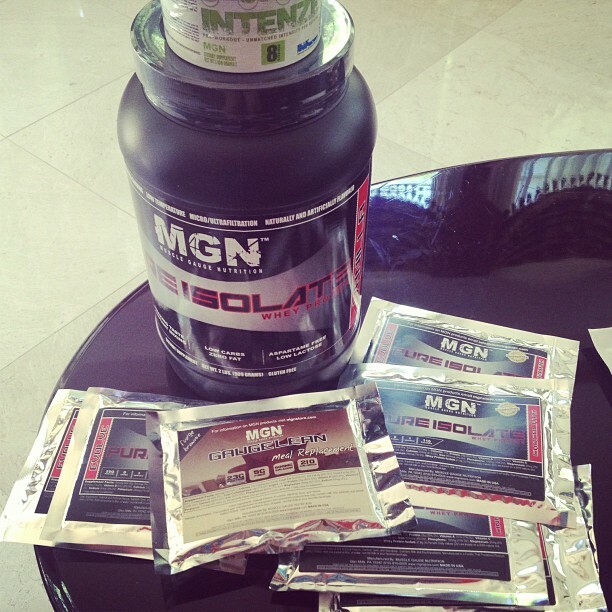 I most certainly recommend these protein samples to anybody AND I'll probably be wanting a lot more in the future.... I mean it's no contest! Zero fat, carbs, low calories, strictly Protein Isolate. Amazeballs. I was not paid to do this review. All reviews are strictly my own honest judgment. Thanks MGN and Christine for setting me up with these delicious samples! Do they have an ingredient list available and do you know what kind of sweeteners they use? Are they all natural or artificial flavors? I have recently been moving to more natural non-processed foods and wish I had started sooner! I found a great all natural plant based protein that uses stevia to add some sweetness. I find a lot of protein powders contain a lot of artificial flavors and ingredients that are toxic to our bodies. they do have added sucralose, but their protein still has relatively low amount of added ingredients compared to some others out there! Is there anyway to receive samples? you could try contacting the company! I think the best thing that can build your muscle is 1285 muscle supplement, I ever used it and its really a good supplement for our body. if you want to know more about it then i have a site from where you will get all information about it.